Walk to Scarborough! Bright Beach House with AC, 6 bedrooms, 3 full bathrooms! DOG WELCOME : 6 Bed – 3 Bath raised ranch-style with newly installed Air-Conditioning. House has a large kitchen, dining and living room upstairs with glass slider to large deck with a partial view of the Atlantic Ocean and allows for outdoor entertaining. Dine on teak table with seating for 12. Weber Gas BBQ on deck. This large home is a 7-10 minute walk to Scarborough Beach on a very quiet 11,500 Lot......... room for all types of family activities. A small path diagonally across the street connects to Angel Road that leads you straight to the beach. The area offers you a great playground for the young ones, as well as tennis and basketball for all. There are so many things to do here in Rhode Island, and not enough room to mention them all. 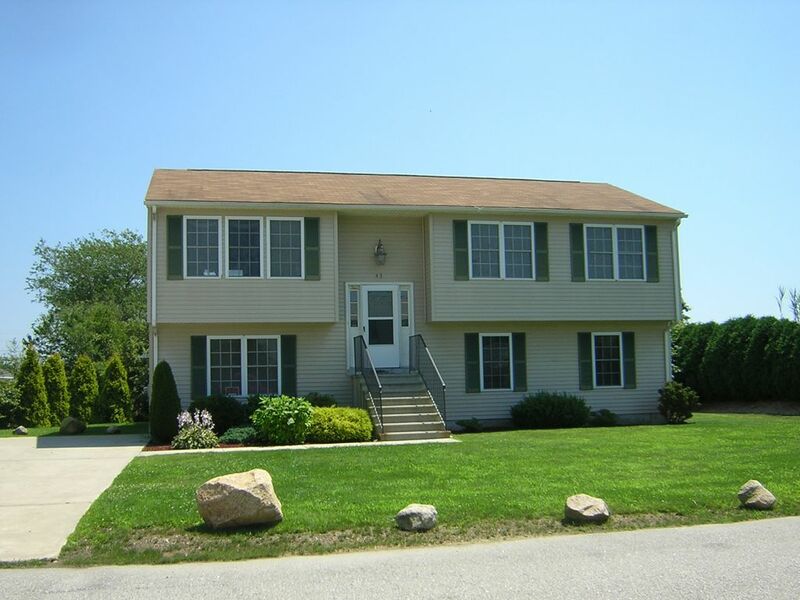 43 Glendale Road is located in New Eastward Look (South) - your gateway to four major state beaches plus Galilee, Block Island, Newport, Wakefield, Wickford, etc. 6 Queen Beds with bedspreads and Pillows. Central Air-conditioning plus Ceiling Fans in every bedroom and kitchen. Extra fans in Hall Closet. Outdoor Shower with Hot/Cold Water. Fully stocked kitchen with dishwasher, lobster pot, wine glasses etc. 5 minute walk to Scarborough Beach! Its unique location permits easy access to the beaches, a variety of excellent restaurants, shopping, the fishing port of Galilee and the Block Island Ferry. As well as transportation to major cities in the state and throughout New England is easily accomplished via Interstate 95. The house is 35 miles south of Providence, only 20 miles to T.F. Green Airport in Warwick, 15 miles (20 Minutes) to Newport and 5 Miles from an Amtrak station in Kingston. Golf: Public Golf Courses in area.